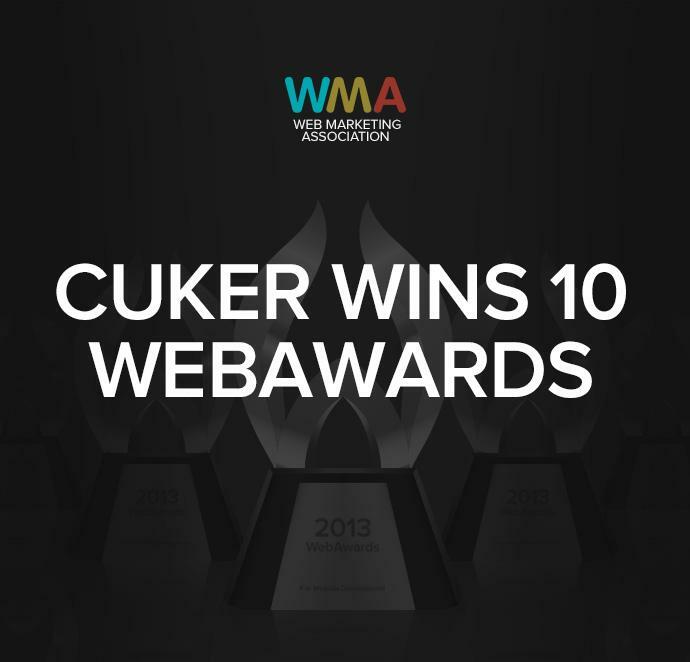 Cuker is thrilled to announce that we have been presented with ten 2013 WebAwards from the 17th annual Web Marketing Association WebAwards competition. These highly coveted awards honor the best in the industry, setting a standard of excellence that elevates and empowers website development. Recognized by the WMA for the sixth consecutive year, Cuker’s ten awards include the prestigious “Best Architecture Website” for the Eldorado Stone See and Believe microsite as well as “Best Leisure Website” for the redesigned Quiksilver blog. Since 1997, the Web Marketing Association's annual WebAward Competition has been setting the standard of excellence for website development. Independent expert judges from around the world select the winners by using seven criteria - design, ease of use, copywriting, interactivity, use of technology, innovation and content.